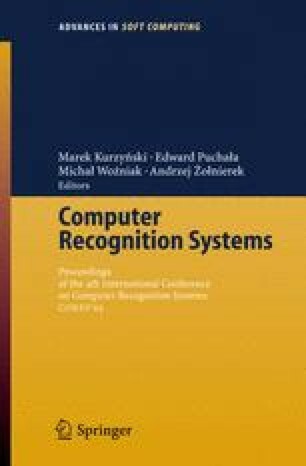 A retrieval methodology which integrates color, texture and shape information is presented in this paper. Consequently, the overall image similarity is developed through the similarity based on all the feature components. Alternatively to known CBIR systems, we compute features only in the finite number of extracted ROIs. There are some other known methods of determining ROIs, but our method of extracting ROI based on points of interest detection and Gabor filtration, enables to use filter responses also to describe texture parameters. The described method was tested on a small post stamps database (130 stamps), for which we achieved comparable results as for Blobworld system. Presented method is further developed in postal image analysis and retrieval system.